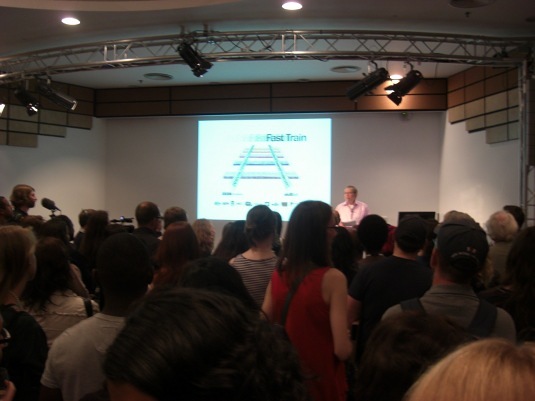 Fast Train, sponsored by Skillset and hosted by the BBC Academy, held on Wednesday 18 May 2011 at White City, was great. Pictured is Jon Plowman, who gave a fantastic keynote speech. Let’s hope this is the first of a regular series of similar training events.